Mr. Reeves is a Senior Vice President with The InterTech Group, Inc. where he has served for the past 30 years as a manufacturing and financial executive with merger and acquisition, corporate finance and strategic planning experience. Mr. Reeves also serves as President and CEO with Circa Enterprises, Inc., a public Canadian company that designs, manufactures, and sells equipment for the telecommunication, electrical utility, and construction industries. Mr. Reeves is the Chairman of Titan Logix Corp., a public Canadian company that develops and manufactures Guided Wave Radar gauges for fluid measurement in mobile tanker applications for the oil and gas, waste fluid, chemical and aviation industries. Mr. Reeves previously served as President of PBI Performance Products, Inc., a subsidiary of The InterTech Group, located in Rock Hill SC. PBI manufactures and markets thermally stable and fire resistant fibers used in firefighter bunker gear and polymers used in semiconductor manufacturing. Mr. Reeves previously served as Chairman and Chief Executive Officer of Galvanic Applied Sciences, Inc., a public Canadian company that designs and manufactures analyzers and measurement equipment for the natural gas and process industries. Mr. Reeves sits on the board of the South Carolina Solar Business Alliance and the South Carolina Clean Energy Business Alliance. Mr. Reeves graduated from the University of Georgia in 1978. Weston Adams III is a partner in Nelson Mullins Riley & Scarborough LLP’s Columbia office. Weston co-chairs Nelson Mullins Energy Industry Group, and practices environmental, energy, and appellate law. He is former board member and chairman of the S.C. Conservation Bank Commission that, during his time on the commission, provided state funding for the permanent conservation of more than 250,000 acres of land in South Carolina. Weston holds degrees from the University of the South, Sewanee, TN (1987), the University of South Carolina School of Law (1991), and the University of Florida, Gainesville, FL (1997). He was also Research Editor for The South Carolina Law Review, and he attended the University of Cambridge, Cambridge, England. Robert E. (Bob) Long is an energy consultant with a 47 year career in the electric and gas utility industry. In August 2017, Bob retired from SCANA Corporation as general manager of resource planning. His extensive utility career includes responsibilities for forecasting energy, demand and sales revenue, preparing electric integrated resource plans, and directing strategic, financial and corporate planning activities. He has served in leadership positions on industry committees including Electric Power Research Institute (EPRI), American Gas Association (AGA), and Edison Electric Institute (EEI). He served on EPRI’s Research Advisory Council, the South Carolina Energy Office Advisory Committee, the Energy Advisory Council of South Carolina’s Public Utilities Review Committee, and South Carolina’s Clean Energy Industry Manufacturing Market Development Advisory Commission. Bob is a South Carolina accredited Commercial Energy Manager, a member of the South Carolina Biomass Council, a board member of South Carolina Clean Energy Business Alliance and a former board member of the South Carolina Solar Council. In 2007 he helped launch Palmetto Clean Energy, a non-profit organization that promoted the development of renewable energy in South Carolina, and served as its sole chairman until dissolution in 2017. In 2017 he completed his appointed term on the Advisory Council of Lenoir-Rhyne University’s Lutheran Theological Southern Seminary. In 2016, Bob was recognized by the Charlotte Business Journal as an Advocate Leader in Energy. Bob holds a Bachelor of Science Degree in Mathematics (’70) and a MBA (’75) from the University of South Carolina. 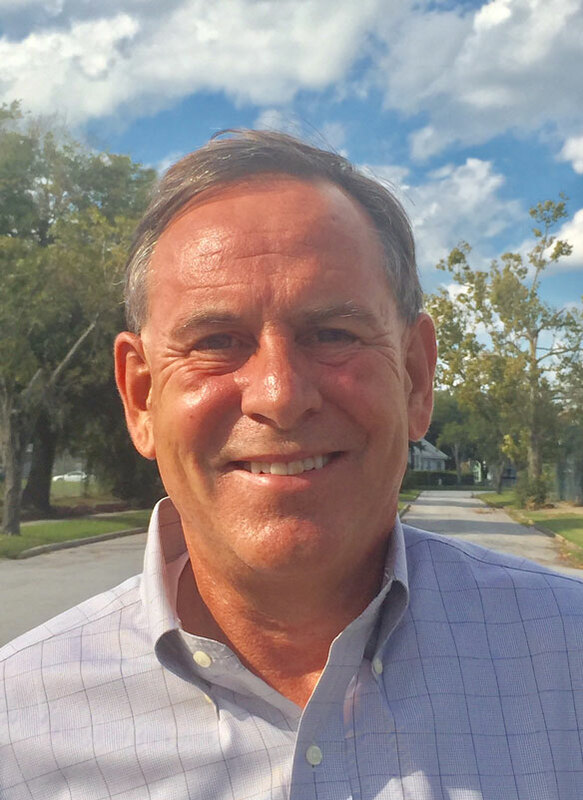 Brian Harvey is the Southeast Business Development Director for EnterSolar, a leading provider of solar energy systems for commercial and industrial clientele. Brian advises corporate executives, finance professionals and energy procurement managers on executing renewable energy projects to reduce operating expenses, achieve sustainability goals and increase the value of real estate assets. Recognized as an industry expert, Brian has served as a guest speaker for the Solar Energy Industries Association at Solar Power International, the largest solar conference in North America, where he provided insight, guidance and best practices for developing commercial solar projects. Prior to joining EnterSolar, Brian was the Commercial Sales Manager for HSGS, a solar project developer and engineering, procurement and construction company. In this role, he originated and developed solar energy projects for corporate clientele that included Otis Elevator Company, the world's largest manufacturer of elevators, escalators and moving walkways. His past tenures also include key positions in the real estate, construction and investment advisory industries. Brian holds a Bachelor of Science Degree in Finance from Florida State University. Director of Policy and Strategy for Distributed Energy Technology with Duke Energy in South Carolina. Jason joined Duke Energy in 1987. His current responsibilities include strategy and policy for distributed energy assets in South Carolina. In his tenure with Duke Energy, he has overseen of the interconnection standards and contract management for distributed generation resources, represented the company to top customers with business and regulatory matters, and supporting the Large Business process for Duke Energy’s top 1000 customers, he has engineered and installed electrical systems for service to the customers, promoted company programs and initiatives with customer base, supported customer base with process solutions to improve company services, developed product and service offerings for customers, and represented the company with many customer groups. Jason is blessed to be married to Tina and have 4 children, ages 23 to 13. Brad Van Meter is a Comprehensive Solutions Account Manager for Trane / Ingersoll Rand with over 27 years of experience. His particular area of expertise is in the development of energy savings performance contracts within K-12, higher education, public sector and state agency vertical markets. Mr. Van Meter has managed project teams, from initial project identification through implementation, on numerous performance contracting projects throughout the Southeast. His role is to identify customer financial and infrastructure needs, assist in the final negotiations of performance contracts, and lead the project team both during and after the initial contract period. Brad has been involved in Performance Contracting since 2000 where he led the successful efforts that resulted major sales within South Carolina. Brad was formerly Branch Manager of Johnson Controls in Greenville, SC and was instrumental in providing the LEED commissioning for the Hipp Hall Classroom Building at Furman University – the first LEED certified building in the State of South Carolina. He later served as Municipal Utility Solutions Manager for Johnson Controls implementing municipal infrastructure upgrade programs within the United States and Canada. Prior to that, Brad was an industry leader within the Utility Construction realm, pioneering some of the earliest automated trenchless technology and automated tunneling projects within North America. Doug serves as a member of the company's Office Group working primarily in transaction and corporate strategy services. Doug specializes in integrating market information, corporate strategic planning, and facilitating the correct strategy to align the client's real estate assets with their strategic business plan. Areas of expertise include site location and production analysis for clean energy production and generation, rooftop leases for solar and wind applications, biomass and landfill analysis for combined heat and power systems and methane recapture, electric vehicle and lithium ion battery research and development, renewable energy analysis, advanced materials and automotive research, carbon footprint and Greenhouse Gas (GHG) emission analysis for Corporate Social Responsibility (CSR) programs. Doug joined CBRE in December 2000, after serving as Vice President of Brokerage for the Greenville office of Edens & Avant. His area of expertise is the energy and sustainability technology market in North and South Carolina. Doug is a graduate of Clemson University and has earned his Postgraduate Diploma in Corporate Sustainability from Furman University. Mr. Jim Woods is Product Manager - Clean Energy Products, Southeast Region at Shealy Electrical Wholesalers - A Division of Border States. Mr. Woods manages the Clean Energy Product sales and solutions for our Southeast Region, to include:Solar PV, EV Charging Stations, Energy Storage and related items. Jim is very involved with the clean energy and energy efficiency industry in South Carolina and nationally which included being awarded with the honor of Clean Energy Champion of the 2013 for Affiliated Distributors of Noth America.